My Christmas Decorating Has Begun! I‘m gearing up for Christmas and my virtual world-wide Christmas open house! Did you catch the party announcement over the weekend? I hope you are going to be a part of this! Wherever you are in the world, let’s open our doors and show off our decorations! While we are not one of those organized families that gets a Christmas tree the day after Thanksgiving, I do like to start decorating as early as I can. But as I’ve mentioned before, my seasonal decorating is a slow evolution rather than a one day event. Not only were we painting the walls in our entry the week of Thanksgiving (yes, I know I do need to post more about that and show some progress pics!!) but we had visitors and guests the week leading up to Thanksgiving and the weekend after! We ended Thanksgiving week at our church by putting together care packages for the homeless. That was an awesome conclusion to the week, it was good to reset our priorities after a week of indulgence! The week was full (as were our tummies) and a little crazy, but I enjoyed every minute of it. To kick off the Christmas decorating at my house in a simple, classic way, I started with poinsettias. These plants are GORGEOUS! 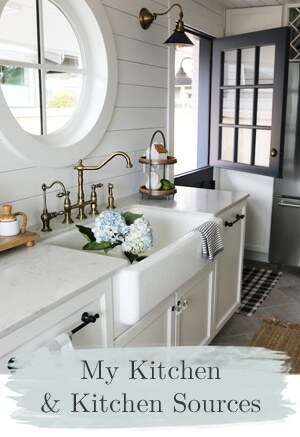 I’m not one to want to do a lot of fussy decorating, so give me something natural and ready to go and I’m a happy girl. I haven’t even pulled out my Christmas boxes yet so this was the perfect way to ease into decorating! One thing I love about poinsettias is they are so easy to incorporate into my holiday decorating with their beautiful flowers and leaves. They just say CHRISTMAS to me! I use them every year! I like to just tuck these little beauties in here and there, sometimes putting them in different containers or setting them on something to give them a little prominence. And contrary to an old rumor about them being poisonous, they are SAFE around kids and pets too! That is important to me as we take about 500 things out of Jack’s mouth every day. I’m a little nervous about our ornaments tempting him this year! Three cheers for the arrival of poinsettias! Christmas, I’m on my way! Just a reminder: You are all invited to my virtual Christmas open house on December 12th, and you can link up your Christmas house too! Linking up means you take photos of your Christmas house and post photos online somewhere (a blog or public facebook album, perhaps) and then put the link to the photos over on a “linky” which will be on my blog …. if you are new to all this, it will make more sense when you see it in action on December 12th. Don’t worry if you don’t have the perfectly decorated large or charming house, that is not a requirement to be a part of the party! 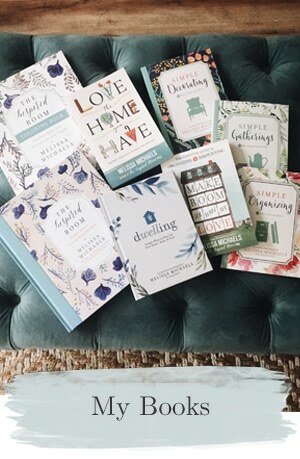 You don’t even have to show off your entire house if you don’t want to, just decorate a favorite corner, show us your tree, or fancy up a shelf or a mantel and take photos to share, then be ready to invite us in! Or, just come by and visit! Hooray! Note: These poinsettias were brought to me by Tamara (a new friend I met online! Yes, I do meet friends online.) all the way from Canada and Darvonda Nurseries! Can you imagine that kind of service? She wanted to make sure they arrived safely so she drove them to me herself! She is a gem! Thank you Tamara! And I was thrilled to be able to introduce Tamara to nine other blogging buddies who love poinsettias as much as I do! 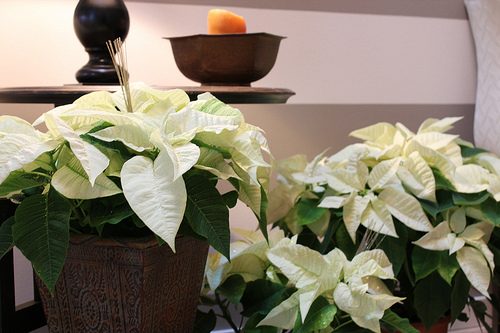 If you use poinsettias in decorating, be sure to check out Tamara’s poinsettia decorating challenge! This post and the poinsettias were sponsored, but my love of poinsettias is genuine. 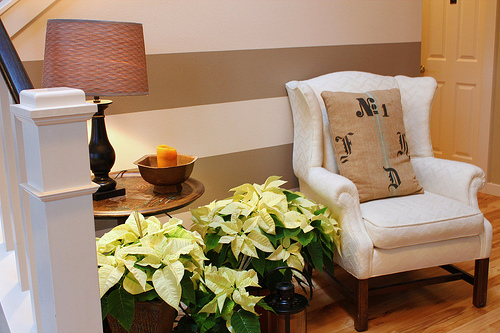 Watch for these blogger’s holiday decorating and poinsettia posts! What is the first thing you usually start with for Christmas decorating? 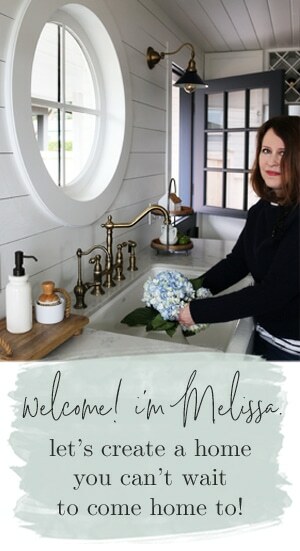 Melissa it is looking just gorgeous!!!! So pretty and I can’t wait to see more!! So pretty! White poinsettias are my favorite! I always decorate my (main) Christmas tree first. This is our second year in our vintage apartment and I found a new place for the tree this year. Thanks for explaining the ‘linking up’ for your virtual Christmas open house. It made it a lot clearer. Love the poinsettias. I always start my Christmas decorating with my Christmas tree. Poinsettias…so lovely. (My poinsettia has taken on the look of a bonsai. Still I’m clinging to it as it is one of the last gifts my mother gave me. I even rescued it from the ravine one year when I made an attempt to trash it.) I’ll grab your button and help you get the word out. Oh, Melissa, thank you for the link ♥. I was simply amazed by all the traffic. You are welcome Vee, such a cute idea you had! Those poinsettias are beautiful! I start with my outdoor wreaths for windows & doors. I’ve actually got my “trees” for this year up. Since this is my first empty nest Christmas, I want to just relax and not have to put up and take down a real tree. Since I just took down about 15 70 ft. trees in my yard there were a lot of branches available. So? I brought nature in and placed branches that reach to the ceilings in a couple of floor vases. The clear glass vases are covered in a wrapping paper with a green/white design. In the bottom I placed white lights and a few birds in the branches! I’m good till Spring! 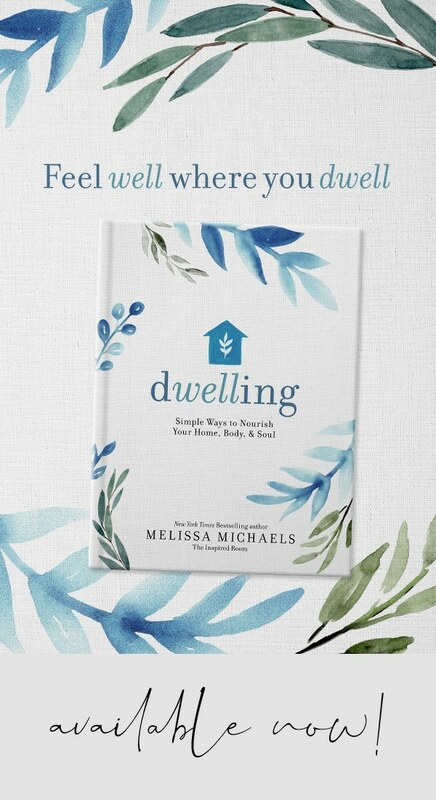 I like how you put it, Melissa – decorating for Christmas is a slow evolution in your house. Me too! I want to enjoy the process not just get it all done. I take it down that way too…..some things, like the photo Christmas cards, stay up for ages. 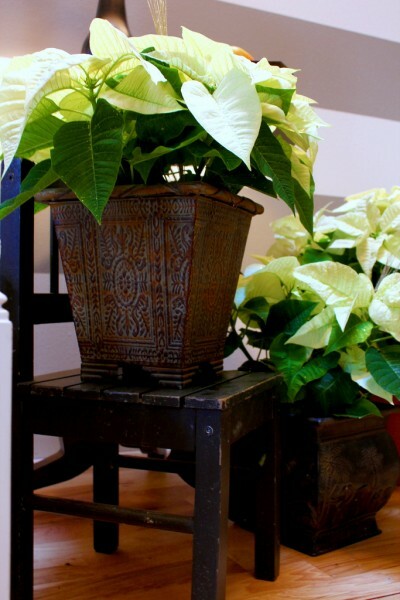 Your poinsettias are definitely festive and pretty! Enjoy your decorating….looking forward the house tours! 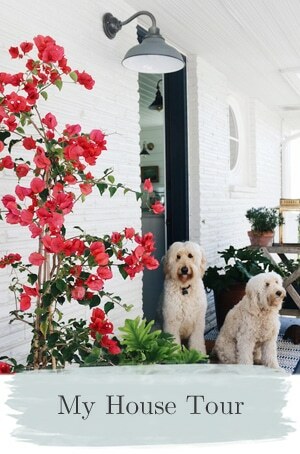 I love those white poinsettias! Those are gorgeous! I may have to pull a copycat and do that our front this year. So pretty! Love the white poinsettias, I went looking for some today with no luck. I’m a slow-evolution decorator as well, but usually my window candles get the ball rolling! Very nicely so far in your house. We have our tree up and most decorations out. I’ll be sure to be back to see everyone’s decorations during your open house. Something to watch out for with Jack: when our dog was a pup, she liked to chew on Christmas lights. For a few years we left off the bottom part of our tree and put it on a table til she grew out of that phase. Now we just make sure to put noisy ornaments (like bells) on the bottom branches so if she gets it into her head to eat the lights again, we’ll have a heads-up. Ooo good thought. He is going to be a handful with our decorations, I’m sure! Yesterday I took down most of the Thanksgiving decor and I began to put up Christmas stuff. It was pretty fun. I’ll be rolling it out each night. I’m SO looking forward to seeing everyone’s homes! I am one of those “get the tree the day after Thanksgiving” kind of people, though organized I am not! I just like to get it done, and relax during the season! The home tour will be fun! I love the white poinsettias. We also have a dog that eats EVERYTHING!!!!!!!!!!!! I was very worried about her eating my tree and my ornaments but, so far, it has not tempted her. Maybe Jack will not be tempted either. 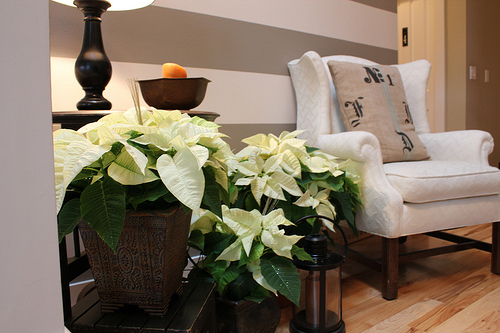 Love the white poinsettias. I think you have the right idea, layering the joy of Christmas makes your home seem so natural and festive without looking overly “department store” decor. Can’t wait to see the other special touches you add. I visited Courtney’s blog and had fun shopping at a very cute store she toured us through. It will be fun to visit her from time to time and see what design ideas she shares. I just love poinsettias! They are so classic and beautiful. I think I’ll pick up some red ones this year. Gorgeous! And much like you, putting up something as simple and natural as the poinsettias really got me in the mood for the rest of the decor. I think it’s because of their huge impact all on their own. ♪♫♪♫ xo kathysue humming along! What wonderful poinsettias – and to be delivered to you, wow! We’ve got our trees up and are just about done decorating. We usually start with the tree and go from there. Looks great Melissa! Looking forward to your house tour party :) I decorated my table today for my sons Santa Cookie & Cocoa party :) It was fun! wow – i love that paint job – that’s beautiful!!! hope you have a wonderful Christmas if I talk to you sooner! The paint job is perfect!! I’m excited to your Christmas Open House. My Christmas decorations are also white poinsettias and that’s my motiff for the year. Sadly, I haven’t started yet. Christmas is my favorite time of year and I love to decorate for it. 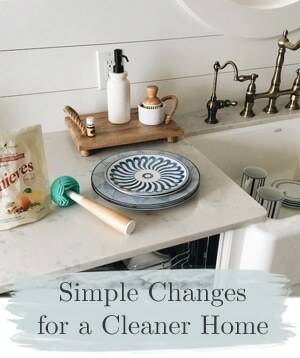 I’m hoping to get started this weekend – I usually do it all at once – tree tabletops & mantle – because I have to talk my husband into getting all of the boxes down from the garage and back up. Your Virtual Christmas home tour sounds so fun – I plan to participate…. We put our Christmas tree on a little table. Little hands can’t reach anything but the very bottom branches (and you can always hang just cloth ornaments on those if you want, from ribbon hangers). We’ve had a new little one every year (I have 6 children 9 and under) and this fixes the tree problem for us. We also wait to put up our tree when we have a one-year-old. Closer to Christmas keeps it safer with little ones.